Professor in Control and Automation Engineering, Electronic Engineering and Computer Engineering courses. He obtained his BsC in electrical engineering from Universidade Estadual Paulista UNESP-GuaratinguetÃ¡ in 2009. 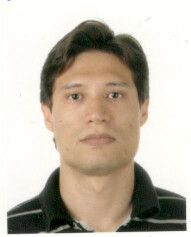 He obtained his MsC and PhD from Universidade Federal de ItajubÃ¡ in Electrical and Computer Engineering in 2012 and 2015, respectively. He conducts research in the area of low power mixed mode integrated circuits for biomedical applications. Low power mixed mode integrated circuits for biomedical applications.